High-resolution SPM imaging allows us to identify the chemical structure of molecular reactants and products on surfaces under UHV. We try to explore new routes to driven chemical reactions not only on metal but also on insulating surfaces using different external stimuli (heat, light, tunneling electrons, etc.). Nat. Chem. 9 (2017) 213 - 218. 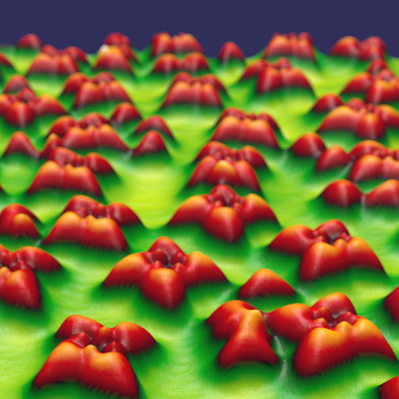 Nanoscale 10 (2018) 15553 - 15563.